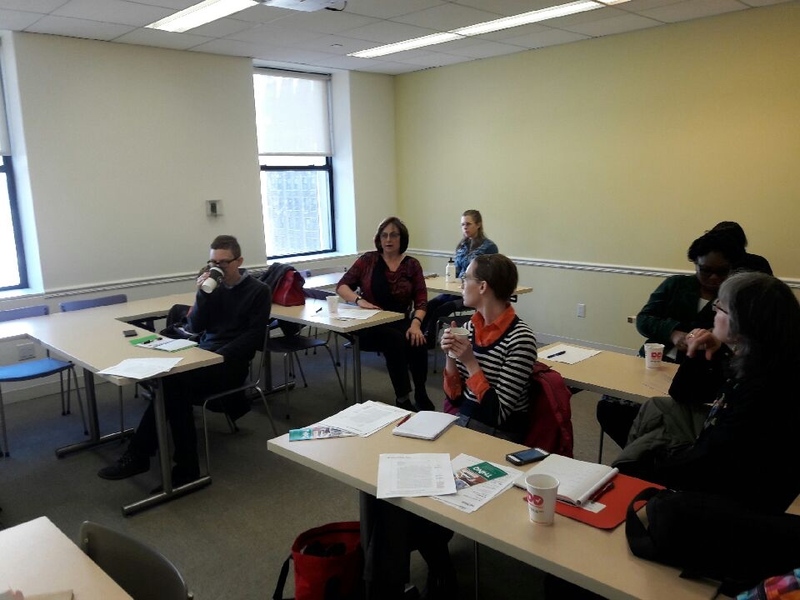 Carl Andrews (Bronx Community College, CUNY) and Mark Aaron Polger (College of Staten Island, CUNY) hosted the ACRL/NY First Year Experience Discussion Group Meeting on Friday March 17th at Mercy College’s Manhattan Campus. Attendees engaged in an enlightening discussion that touched on a variety of topics related to new student orientation. Student centered teaching, embedded librarianship, and modifying our pedagogy to complement the learning styles of Millennials were just some of the themes explored. New student engagement was another popular topic; one of the attendees from Long Island University’s Brooklyn campus talked about a project that she and her colleagues implemented entitled “The Amazing Library Race”, an interactive and fun way to introduce first-year students to library resources. Carl handed out several IL scaffolds: a web site evaluation template, a research paper organizer, and a brochure that lists strategies First Year Experience teaching faculty can use to create IL rubrics. Mark talked about some of the successful teaching and outreach methods he’s implemented at the College of Staten Island targeted to First Year Students. This entry was posted in Professional Development and tagged First Year Experience DG by Derek Stadler. Bookmark the permalink.